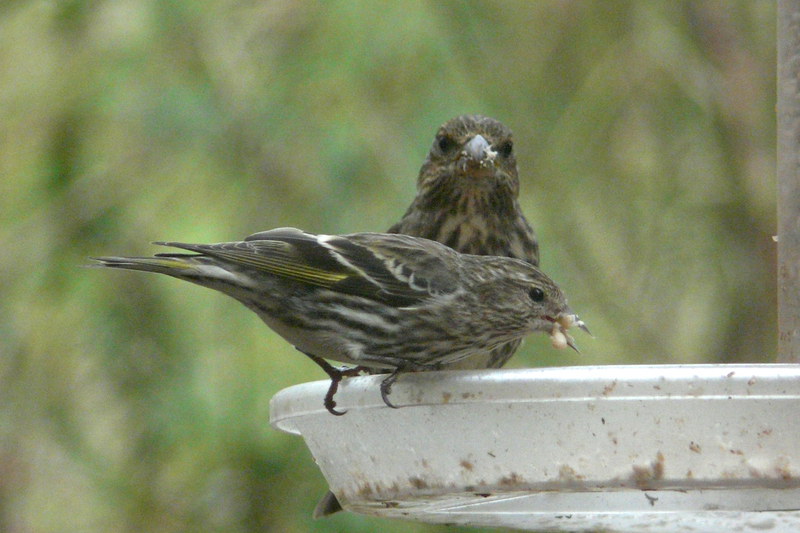 For the past few weeks I have been enjoying a large flock of Pine Siskins at my feeder. But as often occurs during years of high siskin numbers, I started noticing a few sick birds. So I stopped feeding for a few days. With the feeder empty, the large flocks of birds dispersed, reducing the risk of disease spreading from bird to bird. Packing birds into unnaturally high densities at a bird feeder can create risks for the birds we are trying to help. While many of us enjoy feeding birds and other wildlife, it is important to do so mindfully. We have to be aware that feeding birds is something we do for our own entertainment, not something that the birds actually need. My feeder is outside my window for the sole purpose of drawing birds in close so that I can enjoy watching them from the comfort of my home. If the feeder wasn’t there, the birds would do just fine. It is my responsibility to be aware of how my bird feeding impacts the birds. It was reported recently that Scotts Miracle-Gro was selling bird food treated with pesticides known to be harmful to birds (see story here). A few years ago, it was revealed that sunflower farmers in the Dakotas have taken such measures as destroying cattail marshes and poisoning and/or shooting birds to reduce the impact of blackbirds feeding in their fields. These stories illustrate how the seemingly innocuous hobby of feeding birds can have broader implications. We need to know where the food comes from and what is in it. 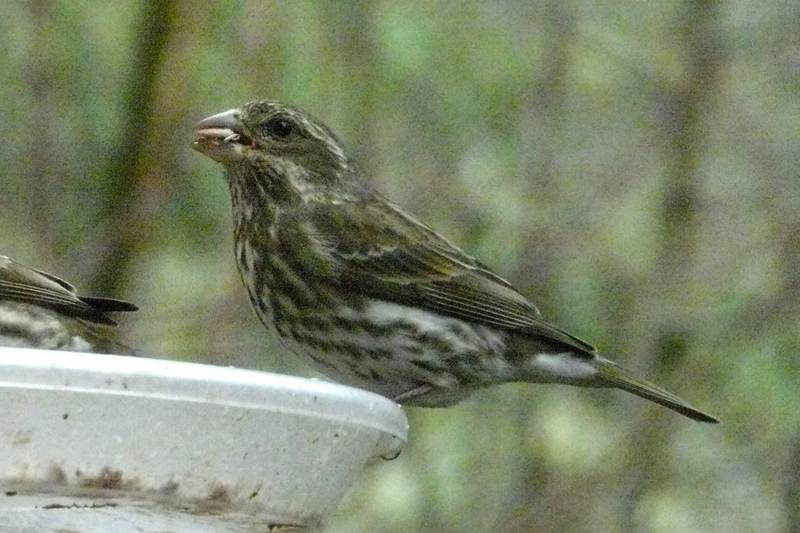 My feeder is filled again and, with the large flock of siskins gone, other species are becoming more visible. 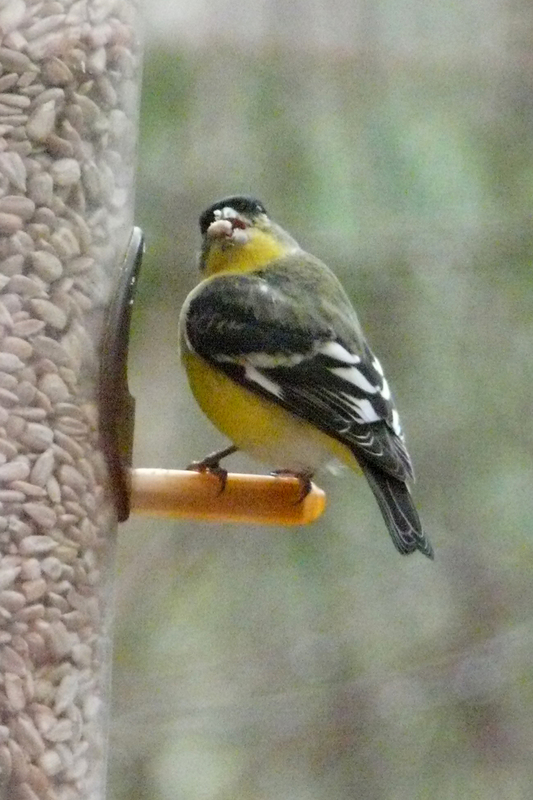 Lesser Goldfinches, our smallest finch, are coming more frequently now that things have quieted down. Two Purple Finches have appeared this week. A few Pine Siskins stayed behind when the main flock left. A Purple Finch towers in the background. This entry was posted in birding philosophy, conservation issues and tagged bird feeding, Lesser Goldfinch, Pine Siskin, Purple Finch. Bookmark the permalink.